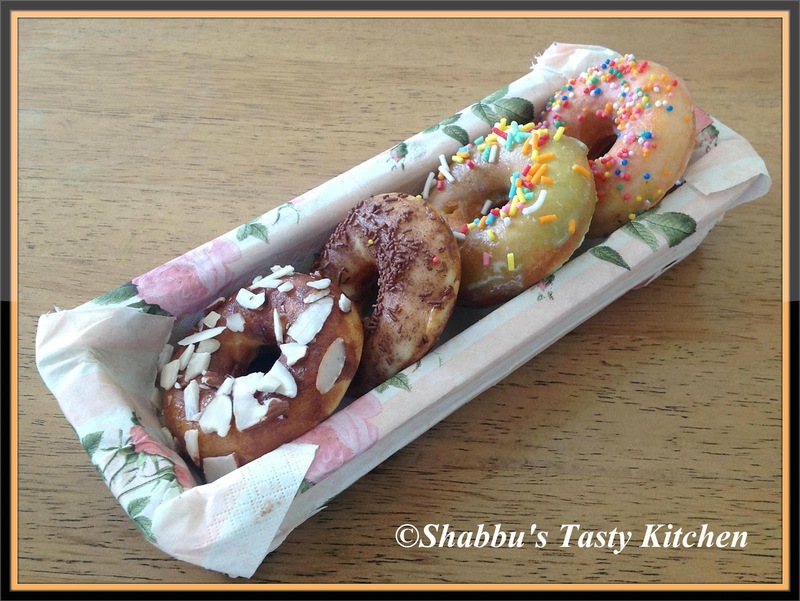 I used electric doughnut machine for preparing these donuts. Then used glace icing and sprinkled with coloured sprinkles, chocolate sprinkles and almond flakes.. Combine plain flour, caster sugar and baking powder in a large bowl and make a well in the centre. Whisk in the butter, milk and egg until mixture forms a smooth batter.and transfer it to a jug or fabric piping bag. 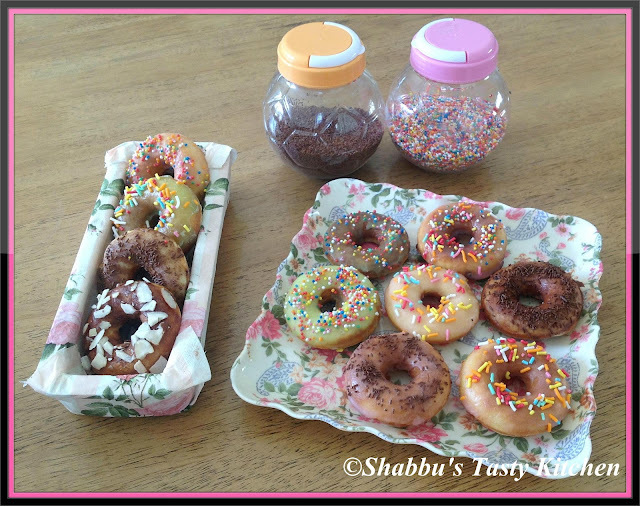 Spray doughnut machine with cooking oil and fill bases of preheated doughnut rings with half of the batter. Close lid and cook for 6 minutes or until doughnuts are golden and cooked. Using a non-stick spatula transfer to a wire rack. Repeat with remaining batter to make 10 doughnuts in total. Sift icing sugar into a medium bowl. Stir in enough milk to make a soft, spreadable icing. Divide icing evenly among 3 bowls and add a few drops of your choice of food colouring to each bowl. Stir to combine. Drizzle over cooled doughnuts. Sprinkle with decorations and set aside until set. 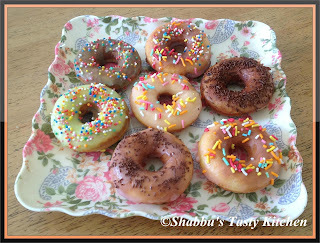 Wow..doughnuts look cute and delicious! Freaking awesome! Looks so yummy...simply wonderful..in fact very cute! These look better than store-bought, perfect in fact.Undoubtedly, much better in taste too. Super job, Shabbu! 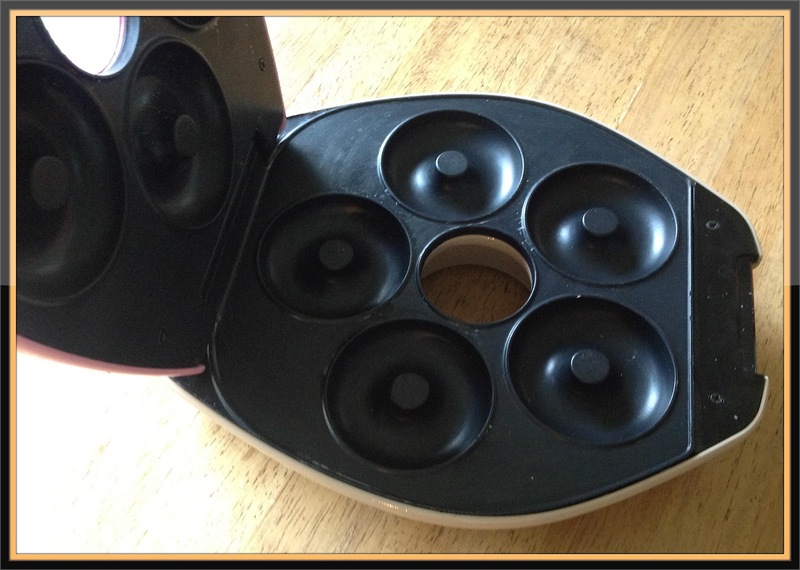 Wat a fabulous gadget,wish to grab some and have rite now. Love the various toppings... perfectly done!! Hi Shabna, this is jut wonderful! I've just recently acquired a recipe book on donuts and plan to attempt at it soon but only set back is, I don't have a donut maker or a donut tray. 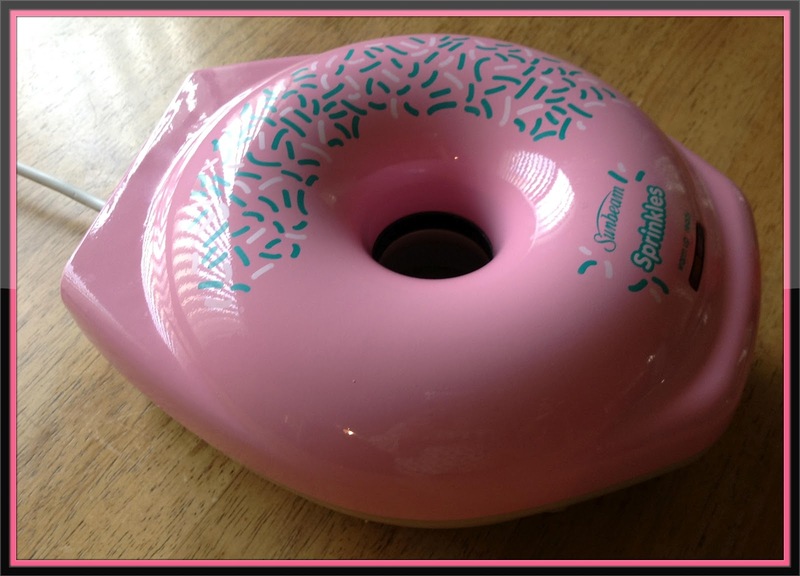 I plan to hunt for the donut cutter soon. Your donuts look absolutely gorgeous..thanks for visiting my blog. Now I'm a follower of yours too! this looks just awesome. really very delicious. Nice toppings for the doughnuts. And they look great. They look fantastic, really yummy! Wonderful presentation!